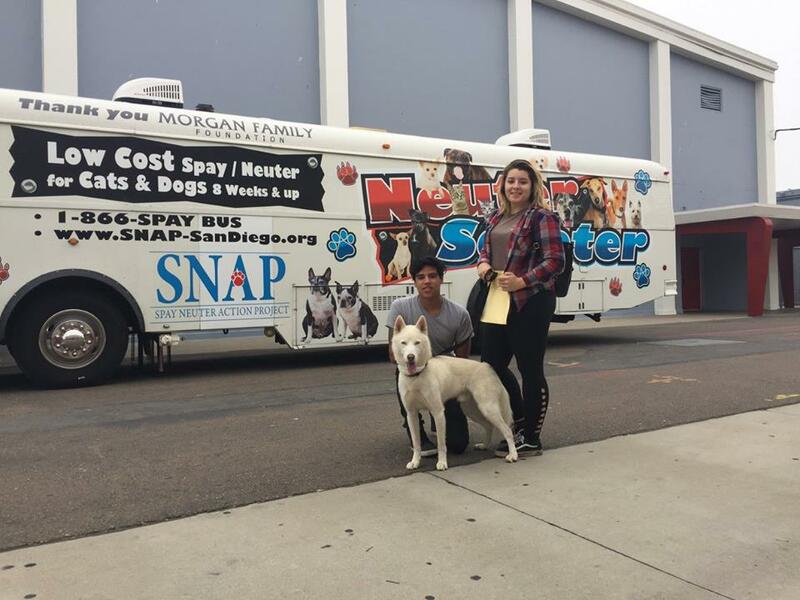 San Diego, June 2, 2017 – The Spay Neuter Action Project (SNAP.www.snap-sandiego.org), the first organization in San Diego County to provide programs to solve the tragic outcomes of pet overpopulation, announces its “Large Dog” specialty spay/neuter clinic on Saturday, June 3, at Sweetwater High School in National City. SNAP is a non-profit, 501(c)3, charitable organization that was formed in 1990 with the goal of reducing the number of unwanted pets in San Diego County. Over 55,000 combined cats and dogs have been fixed since 2003; averaging 500 surgeries a month. 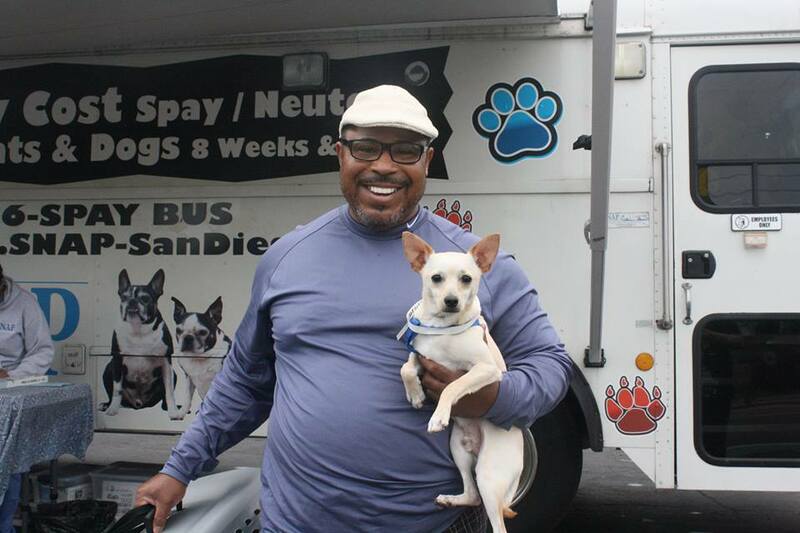 SNAP offers its services via a mobile clinic known as the “Neuter Scooter” that visits primarily lower-income neighborhoods, where a team of veterinarians and their medical assistants perform low cost spay and neuter procedures. Because of limited space inside the surgical bus, SNAP can only fix a total of four large dogs (41-80 pounds) per clinic. The coveted spots are booked months in advance since the cost to spay or neuter a larger dog in the traditional veterinary setting, is over $500. To provide more opportunities to income-challenged pet owners with dogs in the heavier weight class, to spay or neuter at an affordable rate, no less than three “Large Dog” specialty clinics are held each year. “We encourage pet owners with dogs that will exceed 40 pounds when fully grown, to spay or neuter as early as possible, to cut down on the cost,” said Dorell Sackett, Executive Director of SNAP. Minimum requirements for surgery for all clinics on the Neuter Scooter is 2 months/2 pounds. Tomorrow’s specialty clinic will be held “mash style” in the gymnasium at Sweetwater High School. A huge amount of effort went into coordinating this event from school administration to medical staff to volunteers. The clinic is made possible through sponsorship by the Ethel Frends Foundation, Wagging Tails, and members of the Sweetwater High School Animal Care Club. 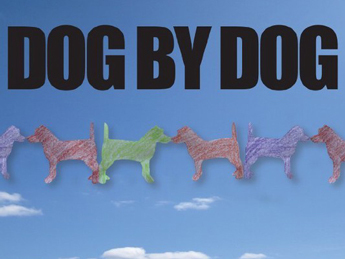 Doors will open at 8:00 am for the arrival of 30 large dogs at this fully booked clinic. Surgeries begin at 9am with pick-up at 2pm following recovery. For more information on SNAP, upcoming clinics, programs, and ways to get involved, please visit www.snap- sandiego.org or follow www.facebook.com/spayneuteractionproject. If you would like to receive SNAPs monthly newsletter full of helpful information on pets as well as valuable announcements, please send email to info@snap- sandiego.org.